We are a prominent CNC Milling Machine Exporter & Supplier in India. The CNC Milling Machine is a computerized vertical mill designed to move the spindle vertically along the Z-axis. Our CNC Milling Machine features closed loop operating system that functions on feedback. 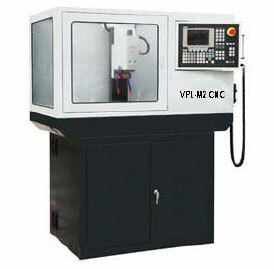 We bring forth a wide assortment of CNC Milling Machine which includes CNC Milling Machine (VPL-CNC-26), (VPL-CNC-2010), (VPL-CNC-10M), (VPL-CNC-5410), (VPL-CNC-15M), (VPL-CNC-15), (VPL-2118), (VPL-CNC-10L), (VPL-CNC-20L), (VPL-CNC-14M), (VPL-CNC-90), (VPL-CNC-28 SIEMENS) and (VPL-M2-SIEMENS). We are a major CNC Milling Machine (VPL-M2-SIEMENS) Exporter & Supplier in India. CNC Milling Machine available With Cabinet. End milling capacity (Max.) : max.